Pradaxa, Xarelto, and Eliquis are all members of a relatively new class of drugs known as new oral anticoagulants (NOACs). These drugs were designed for patients who suffer from a medical condition known as atrial fibrillation (Afib). Afib patients need a blood thinning medication to prevent deep vein clots from forming. A deep vein clot can form a serous medical condition known as Deep Vein Thrombosis (DVT), where the clot forms in the veins of the legs and then breaks loose and travels though the blood system, where it can do serious damage. If the clot blocks the flow of blood to the brain, the patient will suffer a stroke, which can result in permanent injury or death. If the clot enters the lungs, it can puncture the pleural membrane, causing a serious internal bleeding condition known as a pulmonary embolism (PE). To prevent these conditions, Afib patients can either take the traditional blood thinning medication Warfarin (Coumadin) or they can take one of these NOACs. NOACs are not actually classified as blood thinners, but instead they are considered anticoagulants. One of the benefits NOAC makers claim is these new drugs do not require constant monitoring like Warfarin. With Warfarin, patients must undergo routine blood tests to make sure they are receiving the correct dosage. They must also closely watch what they eat, as certain foods can affect the absorption rate of Warfarin. 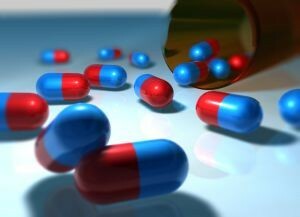 If the dosage is wrong, it can cause a patient to undergo serious and potentially deadly internal bleeding disorders. NOACs like Xarelto, Pradaxa, or Eliquis supposedly do not require this constant monitoring. However, as our Xarelto injury attorneys can explain, thousands of patients who have taken any one of these drugs have developed irreversible internal bleeding conditions, including intracranial bleeding, that can result in death. While there is an antidote currently in the works being manufactured by one of these NOAC makers, if a patient develops one of these internal bleeding conditions and goes into the emergency room, there may be nothing the doctors can do help or reverse the damage, since there is no FDA-approved treatment at this time. However, despite this serious risk and thousands of lawsuits currently filed for personal injury and wrongful death against the makers of these drugs, the companies do not want to harm sales, since these drugs are making them billions of dollars. While it should come as no surprise that large pharmaceutical companies seem to care a lot more about their profitability and quarterly reporting that their patients’ well-being, it is interesting that they are trying to expand the market even further to include more patients who may be harmed by this defective medication. According to a recent news report from Healio, these companies have been conducting studies to see if their drugs are okay to continue using during cutaneous surgery. It is believed these drugs can lead to complications in some surgery patients, but the drug companies do not want these concerns to harm sales. Cutaneous surgery is a type of skin surgery performed by dermatologists, and it can be complicated by blood flow and clotting issues.